Video taken from Jerusalem this weekend showing a dancing, glowing ball hovering over the famous Dome of the Rock has some crying “UFO.” And so far, the images have no official explanation. 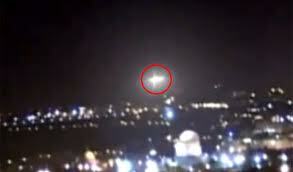 Some UFO enthusiasts believe the videos - which have taken the internet by storm - are final proof that aliens exist, while others say the unidentified object was the Hebrew god Elohim. Adding to the mystery is the fact that flying over the Dome of the Rock landmark — an ancient Islamic shrine — is forbidden. Two witnesses at the Armon Hanatziv panoramic lookout near Mount Zion filmed the object at 1am on Saturday. A little after one minute into the clip, the object descends slowly, almost to ground level. The craft hovers there for a short while and then flickers before shooting upwards at an incredible speed. Former Ministry of Defence UFO investigator Nick Pope said: "If these are real, they are some of the most incredible videos ever shot. The video shows the ball drop down from the sky, sit atop the religious site for about 25 seconds, and then quickly shoot up to the heavens like a rocket. Alien body found near UFO crash site in Russia. As explained in the YouTube video which was uploaded on Sunday, April 17, 2011, the supposed dead body of the alien was found in the snowy region of Irkutsk, Russia, which some people believed it could be a part of the UFO crash. Michael Cohen of AllNewsWeb, who uploaded the video, noted a report of Russian news agency, Interfax last March, wherein an alleged UFO sighting occurred in the Irkutsk region. Apparently, residents have claimed to have seen a glowing pink and blue object in the sky which they cannot identify, as it lowers itself and was said to have crashed on the ground. Later, local authorities including military personnel were said to have rushed to the area where the UFO was believed to have crashed, but further details have not been reported. An enormous team of government officials, including military personal, secret service agents and science ministry officials made their was to the UFO crash site within hours of the event occurring. The question seems to be whether the alien is real, or rubber–these are the questions YouTube viewers are raising. The footage comes on the heels of last month's mass sightings of a UFO near where the body was found. The Russians launched, (believe it or not), a full scale investigation into the reported crash, which becomes even more interesting as there were no aircraft in the area at the time. The alien appears to be two feet tall. 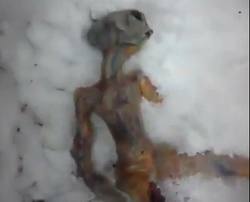 Now it seems a video has been leaked onto the Internet showing a dead Alien, found in the Republic of Buryatia, not far from the site of the UFO crash. 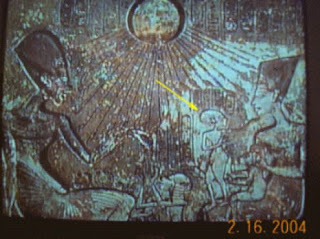 Did The Egyptians Know About The Ufos???? Ancient Egyptian legends tell of Tep Zepi, or the First Time. This is described as an age when "sky gods" came down to Earth and raised the land from mud and water. They supposedly flew through the air in flying "boats" and brought laws and wisdom to man through a royal line of pharaohs. Well, at least the bibler concurs that he "Made us in his own image"
That much is true. Buy it's trally just a confict within the bible texts itself. I mean, to "Make one in ones own image" does there not HAVE to be a physical manifestation of a carbon based being? Of course it does. In the beginning, there was the mighty god Ra and his wife Nut. Ra-Harakhte who was seen as a winged solar-disk. Nut gave birth to Osiris. At the time of Osiris' birth, a loud voice was heard all over the world, saying, "The lord of all the earth is born." Osiris the mighty demi-god king. Osiris grew and became a mighty king. He went about the job of civilizing his people. He taught them agriculture and animal husbandry. He gave them a code of laws to live by and showed them the proper ways in which to worship the gods. Egypt became a mighty land under his kind and gentle rule. His subjects gladly worshiped the ground on which he walked. When Egypt was civilized, Osiris left to bring his teachings to other lands. P'TAH (Gods of Heaven came to Earth from the Celestial Disk) installed as Egypt's first Divine Ruler his own son RA and RA then divided the Egyptian kingdom between the 'gods' OSIRIS and SETH who fought over control of the kingdom. After OSIRIS was killed, resuscitated and resurrected, his place on the throne was taken over by his son HORUS, whose mother was ISIS. 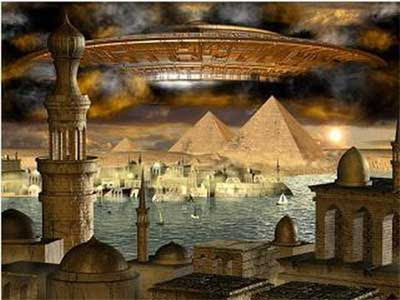 An explanation that the Egyptians know about the ufos are the pyramids! So how did they move these extremely heavy rocks? Experts that insist Egyptians built the Pyramid suggest, trees were cut down and smoothed off, and were used as giant rollers under these 20 ton rocks. If you would roll a 20 ton rock on 5 trees, The tree would be too worn down and awkward to haul another, so these logs would be replaced every Stone. Due to the fact there are over 100,000 stones that make up the pyramid, you would need an excess of a half million trees. 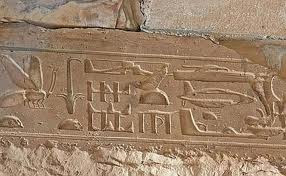 Pyramid was referred to a few times in very early Hieroglyphics. 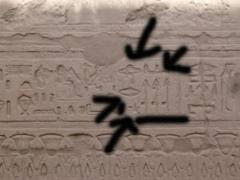 Egyptian writing suggests the Great Pyramid Was Standing Before Egyptians Populated The Land. Ancient hieroglyphics have detailed writings of farming, giving birth, Pharaoh worship, Hunting, Building Structures, etc, BUT the Building Of The Great Pyramid Was Never Mentioned. and aliens. "Possibly" aliens built the Great Pyramid. And these solid long lasting construction techniques were adopted by the Egyptians. P.S. 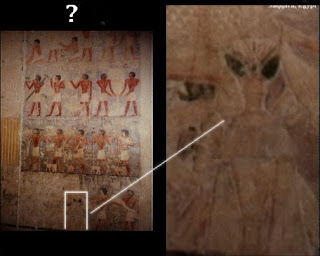 : There are some photographs which show that the Egyptians have propably from the ancient times a "connection" with the ufos na the aliens....!!! Exorcism (from Late Latin exorcismus, from Greek ἐξορκισμός, exorkismos - binding by oath) is the religious practice of evicting demons or other spiritual entities from a person or place which they are believed to have possessed. Depending on the spiritual beliefs of the exorcist, this may be done by causing the entity to swear an oath, performing an elaborate ritual, or simply by commanding it to depart in the name of a higher power. The practice is quite ancient and part of the belief system of many cultures and religions. In Christianity, exorcisms are ostensibly performed in the name of Jesus Christ or through prayer. In Christian practice the person performing the exorcism, known as an exorcist, is often a member of the church, or an individual thought to be graced with special powers or skills. The exorcist may use prayers, and religious material, such as set formulas, gestures, symbols, icons, amulets, etc. The exorcist often invokes God, Jesus and/or several different angels and archangels to intervene with the exorcism. In general, possessed persons are not regarded as evil in themselves, nor wholly responsible for their actions. Therefore, practitioners regard exorcism as more of a cure than a punishment. The mainstream rituals usually take this into account, making sure that there is no violence to the possessed, only that they be tied down if there is potential for violence. In Islam, exorcism is called ruqya. It is used to repair the damage caused by sihr or witchcraft. It consists of reciting some specific verses from the Quran which glorify God, and invoke God's help. In some cases, the adhan (the call for daily prayers) is also read, as this has the effect of repelling non-angelic unseen beings or the jinn. In Buddhism, exorcism exists depending on the Buddhist sect. Each differs from the others: some view it as metaphorical, some esoteric, and some even literal. Some Tibetan Buddhists view exorcism as being nothing more than a metaphor for expelling negative thoughts and transforming them into enlightened mind. Certain Buddhists believe in blessings rather than exorcisms to rid themselves or property of negative thoughts and/or negative spirits. Demonic possesion is not a valid psychiatric or medical diagnosis recognized by either the DSM-IV or the ICD-10. Those who profess a belief in demonic possession have sometimes ascribed the symptoms associated with mental illnesses, such as hysteria, mania, psychosis, Tourette's syndrome, epilepsy, schizophrenia or dissociative identity disorder, to possession. Additionally, there is a form of monomania called demonomania or demonopathy in which the patient believes that he or she is possessed by one or more demons. The illusion that exorcism works on people experiencing symptoms of possession is attributed by some to placebo effect and the power of suggestion. 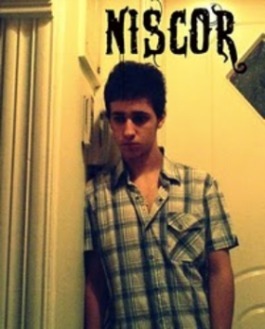 Some supposedly possessed persons are actually narcissists or are suffering from low self-esteem and act like a "demon possessed person" in order to gain attention. 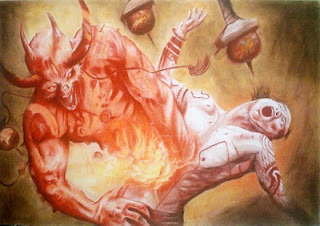 The following are selected paragraphs pertaining to the instruction of the Exorcist as indicated in the Old Rite - Rules of the Roman Ritual of Exorcism. (RULE 1)The priest who with the particular and explicit permission of his Bishop is about to exorcise those tormented by Evil Spirit, must have the necessary piety, prudence and personal integrity. He should perform this most heroic work humbly and courageously, not relying on his own strength, but on the power of God; and he must have no greed for material benefit. Besides, he should be of mature age and be respected as a virtuous person. (RULE 5) Let the exorcist note for himself the tricks and deceits which evil spirits use in order to lead him astray. For they are accustomed to answering falsely. They manifest themselves only under pressure--in the hope that the exorcist will get tired and desist from pressuring them. Or they make it appear that the subject of Exorcism is not possessed at all. rs to have left the body of the possessed free from all molestation, so that the possessed thinks he is completely rid of it. But the exorcist should not, for all that, desist until he sees the signs of liberation. Evil Spirit which cannot be expelled except by prayer and fasting. Let him make sure that he and others follow the example of the Holy Fathers and make use of these two principal means of obtaining divine help and of repelling Evil Spirit. ssessed because of some magical spell or sorcerer's symbol or some occult documents. For the exorcism to succeed, the possessed must surrender them. If he has swallowed something like that, he will vomit it up. If it is outside his body in some place or other, Evil Spirit must tell the exorcist where it is. When the exorcist finds it, he must burn it. In Romanian mythology, strigoi are the troubled souls of the dead rising from the grave. Some strigoi can be living people with certain magical properties. Some of the properties of the strigoi include: the ability to transform into an animal, invisibility, and the propensity to drain the vitality of victims via blood loss. Strigoi are also known as immortal vampires. A strigoaică (singular feminine form) is a witch. Strigoi is different than a moroi. 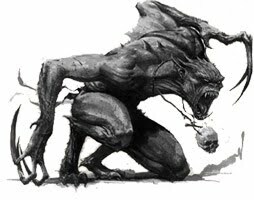 They are close relatives of the werewolves known as "pricolici" or "varcolaci", the latter also meaning "goblin" at times. These names are derived from striga, which in Romanian meant "scream" or "barn owl", cognate with Italian strega, which means "witch", and descended from the Latin word strix, for owl. Strigoi viu is a living vampiric witch. Strigoi mort is a dead (undead) vampire. They are most often associated with vampires or zombies. According to Romanian mythology a strigoi has red hair, blue eyes and two hearts. 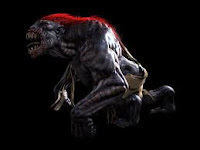 The strigoi can change into a variety of animals, such as barn owls, bats, rats, cats, wolves, dogs, snakes, toads, lizards, spiders/insects, etc. Garlic is said to be potent against the vampire. Due to this weakness, most burial ceremonies have rings of garlic around the corpse, coffin and grave. One way to dispatch the strigoi is to drive a stake, made from wild rosebush or aspen wood, through its heart(s) and into the earth to hold it to its grave. The vampire must be set on fire before it gets up. Another way is to remove the vampire’s heart(s) and burn it and the vampire, or do precisely that and decapitate the vampire as well. Then bury the remains at a crossroad. One gypsy remedy for killing a strigoi is as follows: dig up the vampire corpse, remove its heart(s), and cut the organ in two. Drive a nail into the forehead, place a clove of garlic under the tongue, and smear the body with the fat of a pig killed on St. Ignatius’s Day. Strigoi are said not to be fond of light, though there is no suggestion that they burn from sunlight. Travelers often stay close to a bonfire to protect themselves from the vampire. It is said that if the strigoi goes undetected for seven years, it can travel to another country or place where another language is spoken and become human again. Once human, the strigoi can marry and have children, but they will all become vampires when they die. Most often, as is typical of the undead in eastern and central European folk belief in general, an undead strigoi would first prey on his or her family. In some Romanian tales, the undead strigoi was first invisible and raided its former house hold by creating chaos like a poltergeist and obtained nourishment by eating food in the family larder. The strigoi might also come to the household appearing just as it did when alive, engage in conversation with the living members, and go about performing normal, routine chores as if its death had not occurred, but more often the report of such a visit involved deaths of members of the household or farm animals belonging to the household. It was believed that if a strigo was not destroyed within seven years after burial, then on the seventh year it would no longer have to dwell in its own grave and could pass as a normal mortal human. According to one source, the strigoi also then loses his need to prey upon humans and, eventually, even animals. Like the Serbian vampire at such a stage, it would then depart to another region where it could not be recognized, marry, and have children But each week, from Friday night to Sunday morning, such a strigoi would either have to rest in a grave in a nearby cemetary or meet with the local strigoi for supernatural social activities. The children of such a vampire were all "living vampires", destined to become undead themselves. Dragons are legendary creatures, typically with serpentine or otherwise reptilian traits, that feature in the myths of many cultures. There are two distinct cultural traditions of dragons: the European dragon, derived from European folk traditions and ultimately related to Greek and Middle Eastern mythologies, and the Chinese dragon, with counterparts in Japan, Korea and other Asian countries. The two traditions may have evolved separately, but have influenced each to a certain extent, particularly with the cross-cultural contact of recent centuries. The English word "dragon" derives from Greek δράκων (drákōn), "dragon, serpent of huge size, water-snake", which probably comes from the verb δρακείν (drakeîn) "to see clearly". Dragons are usually shown in modern times with a body like a huge lizard, or a snake with two pairs of lizard-type legs, and able to emit fire from their mouths. The European dragon has bat-type wings growing from its back. A dragon-like creature with no front legs is known as a wyvern. Following discovery of how pterosaurs walked on the ground, some dragons have been portrayed without front legs and using the wings as front legs pterosaur-fashion when on the ground. Although dragons occur in many legends around the world, different cultures have varying stories about monsters that have been grouped together under the dragon label. 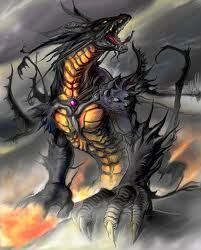 Some dragons are said to breathe fire or to be poisonous, such as in the Old English poem Beowulf. They are commonly portrayed as serpentine or reptilian, hatching from eggs and possessing typically scaly or feathered bodies. They are sometimes portrayed as having especially large eyes or watching treasure very diligently, a feature that is the origin of the word dragon (Greek drakeîn meaning "to see clearly"). Some myths portray them with a row of dorsal spines. European dragons are more often winged, while Chinese dragons resemble large snakes. Dragons can have a variable number of legs: none, two, four, or more when it comes to early European literature. Dragons are often held to have major spiritual significance in various religions and cultures around the world. In many Asian cultures dragons were, and in some cultures still are, revered as representative of the primal forces of nature, religion and the universe. They are associated with wisdom—often said to be wiser than humans—and longevity. They are commonly said to possess some form of magic or other supernatural power, and are often associated with wells, rain, and rivers. In some cultures, they are also said to be capable of human speech. In some traditions dragons are said to have taught humans to talk. In Ancient Greece the first mention of a "dragon" is derived from the Iliad whereAgamemnon is described as having a blue dragon motif on his sword belt and a three-headed dragon emblem on his breast plate. However, the Greek word used (δράκων drákōn, genitive δράκοντοϛ drákontos) could also mean "snake". δράκων drákōn is a form of the aorist participle active of Greek δέρκομαι dérkomai = "I see", derkeîn = "to see", and originally likely meant "that which sees", or "that which flashes or gleams" (perhaps referring to reflective scales). This is the origin of the word "dragon". According to Aelian's On Animals, Ethiopia was inhabited by a species of dragon that hunted elephants. It could grow to a length of 180 feet and had a lifespan rivaling that of the most enduring of animals. European dragons exist in folklore and mythology among the overlapping cultures of Europe. Despite having wings, the dragon is generally depicted as having an underground lair or cave, making it an ancient creature of the earth element. European dragons are usually depicted as malevolent though there are exceptions (such as Y Ddraig Goch, the Red Dragon of Wales). Chinese dragons (simplified Chinese: 龙; traditional Chinese: 龍; pinyin: lóng) can take on human form and are usually seen as benevolent. Dragons are particularly popular in China and the five-clawed dragon was a symbol of the Chinese emperors, with the mythical bird fenghuang the symbol of the Chinese empress. Dragon costumes manipulated by several people are a common sight at Chinese festivals. Japanese dragon myths amalgamate native legends with imported stories about dragons from China, Korea and India. Like these other Asian dragons, most Japanese ones are water deities associated with rainfall and bodies of water, and are typically depicted as large, wingless, serpentine creatures with clawed feet. Gould writes (1896:248), the Japanese dragon is "invariably figured as possessing three claws". Aži Dahāka is the source of the modern Persian word azhdahā or ezhdehā اژده ها (Middle Persian azdahāg) meaning "dragon", often used of a dragon depicted upon a banner of war. The Persians believed that the baby of a dragon will be the same color as the mother's eyes. In Middle Persian he is called Dahāg or Bēvar-Asp, the latter meaning "[he who has] 10,000 horses." Several other dragons and dragon-like creatures, all of them malevolent, are mentioned in Zoroastrian scripture. Some modern pseudo-biological accounts of dragons give them the generic name Draco, although the generic name Draco is used in real-world biology for a genus of small gliding agamid lizard. An infectious disease called Dracunculiasis, caused by infection with the Guinea worm which grows up to 3 feet (0.91 m) long before emerging from its host, also derives its name from dragons (literally "infestation with little dragons"), based on the burning pain experienced by sufferers. 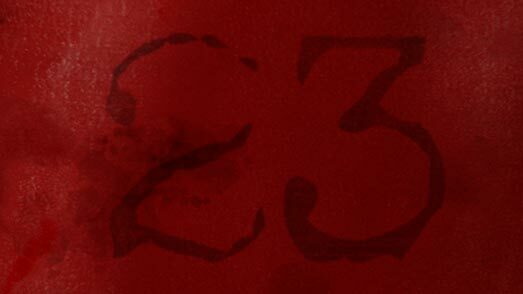 The 23 enigma refers to the belief that most incidents and events are directly connected to the number 23, some modification of the number 23, or a number related to the number 23. The Principia Discordia states that "All things happen in fives, or are divisible by or are multiples of five, or are somehow directly or indirectly appropriate to 5" this is referred to as the Law of Fives. The 23 Enigma is regarded as a corollary of this law. It can be seen in Robert Anton Wilson Robert Shea's The Illuminatus! Trilogy (therein called the "23/17 phenomenon"), Wilson's Cosmic Trigger I: The Final Secret f the Illuminati (therein called "The Law of fives" and "The 23 Enigma"), Arthur Koestler's Challenge of Chance, as well as the Principia Discordia. In these works, 23 is considered lucky, unlucky, sinister, strange, or sacred to the goddess Eris or to the unholy gods of the Cthulhu Mythos. As with most numerogical claims, the enigma can be viewed as an example of apophenia, selection bias and confirmation bias. In interviews, Wilson acknowledged the self-fulfilling nature of the enigma, implying that the real value of the Laws of Fives and Twenty-threes lies in their demonstration of the mind's power to perceive "truth" in nearly anything. 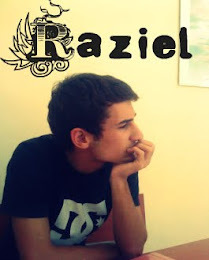 In the Illuminatus! Trilogy, he expresses the same view: that one can find a numerological significance to anything, provided "sufficient cleverness." Robert Anton Wilson cites William S. Burroughs as being the first person to believe in the 23 enigma. Wilson, in an article in Fortean Times, related the following story: I first heard of the 23 enigma from William S Burroughs, author of Naked Lunch, Noua Express, etc. According to Burroughs, he had known a certain Captain Clark, around 1960 in Tangier, who once bragged that he had been sailing 23 years without an accident. That very day, Clark’s ship had an accident that killed him and everybody else aboard. Furthermore, while Burroughs was thinking about this crude example of the irony of the gods that evening, a bulletin on the radio announced the crash of an airliner in Florida, USA. The pilot was another captain Clark and the flight was Flight 23. The address of the Freemasons lodge in Stafford, England, is 23 Jaol Road. In New York City it's on 23rd street. The first Apollo landing on the moon was at 23.63 degrees east; the second was 23.42 de grees west. April 19th the date of the battle of Lexington, the holocaust at Waco, and the Oclahoma city bombing is written 4/19 by Americans and 19/4 by Europeans. Either way it adds up to 23. ***Shakespeare was 46(2*23) when the King James Bible was published. Psalm 46(2*23) has it's 46th word "shake" and the 46th word back from the end is "spear". On the Seinfeld show, Kramer hides an Air-Conditioner on levl purple 23 of a parking garrage. ***William Shakespeare was born on April 23,1556 and died on April 23, 1616. August 23,1305 William Wallace was exicuted for treason. August 23, 1970 River Pheonix was born. ***Julius Ceasar was stabbed 23 times by the assasans. "Scottish Rite Freemasonry" has 23 letters. A technological singularity has been predicted by "experts" in the near future. It is expected around 2030 AD. ***Geosynchronous orbit occurs at 23,000 miles above Earth's surface. Psychic Edgar Cayce started having visions of lost Atlantis in 1923. Hitler joined a secret society in 1923. The CIA headquarters in McLean, VA is located on rt. 123. ***The tilt of Earth's axis is roughly 23o accounting for the changing seasons and the procession of the Zodiac. ***Homo sapiens are given 46 chromosomes from their parents, 23 male and 23 female. ***The Dog Days of Summer begin on July 23 when Sirius the Dogstar rises from behind the sun. Joseph Smith, the founder of the Church of Jesus Christ of Later Day Saints was born on December 23, 1805. ***According to ancient Mayan prophesy on December 23, 2012 the world will end. ***In both ancient Sumaria and Egypt July 23 is the start of the new year. The Nissan car takes its name from "Ni" which means 2 in Japaneese and "san" which means 3. Nissan means 23. The articles of Impeechment used against Richard Nixon and Bill Clinton are under Article 2, section 3 of the constitution. The United States set off 23 atomic bombs at Bikini Atoll in the Pacific. Lines 22-23 of Book I of Milton's Paradice Lost "What in me is dark/ Illumine, what is low raise and support." 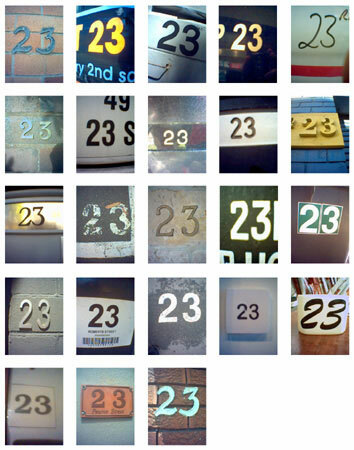 Rabbit comes alive and runs away from a case numbered 23. 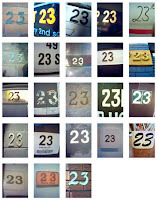 ***The first prime number in which both digits are prime and add up to make annother prime is 23. It is believed that Adam and Eve had 23 daughters. It is believed that the verses of the Qur'an were revealed over a period of 23 years. There exist hadith that support this figure, but many more that give other lengths of time. Is just a number or something else......??? ?